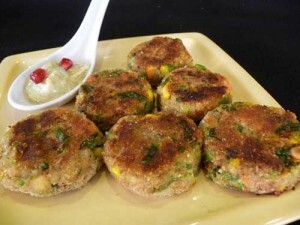 Aloo Ki Tikkiyan (Potato Cutlets) recipe by Z0ya Ali Khan at DesiRecipes.com. 1 tea spoon salt . water for making flour a paste. Boil aloo and peel its skin..
Mash it and add all the masala and make small tikiya...or cutlets. Now take white flour add oil salt and baking soda plus water to make a thick paste. Dip tikya in paste and deep fry it until golden brown. Serve it with ketchup,corriander/imli chatney. Four to five glasses of this juice have to be consumed weekly to have the desired result. He is content, and also the the complete opposite of our opinion final years has in store for us.